What is divorce mediation? This is a question frequently asked by parties seeking a Divorce mediation attorney in Orange County California for guidance and additional information regarding the divorce process in California. Mediation is a newer method of resolving your divorce related disputes. Mediation is a more affordable options for parties. Often parties are discouraged and disappointed with the divorce process because of the cost. Depending on your specific divorce situation, mediation may be the best option for you. Typically, mediation is less costly than a traditional divorce proceeding. Furthermore, mediation sessions are often are held in a more comfortable environment. The mediation sessions generally include the neutral third party mediator, and the two parties attempting to reach an amicable agreement regarding their divorce issues. The purpose of mediation is to provide a safe and comfortable environment for both parties so that they may reach a fair and amicable agreement. The goal is for both parties to have an equal amount of time to voice their concerns and opinions and work toward a fair compromise. Both parties will be treated with respect and dignity. The mediator present will ensure that the parties are not being overpowered, or taken advantage of by the opposing party. If you are ready to take the next steps toward retaining a divorce mediation attorney please call today to reserve your appointment for an initial consultation. For additional information regarding divorce mediation, or family law, please contact your local family law attorneys. Please call Yanez & Associates at 714-971-8000 for your free initial consultation. 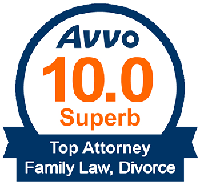 We look forward to assisting you with your family law matter.